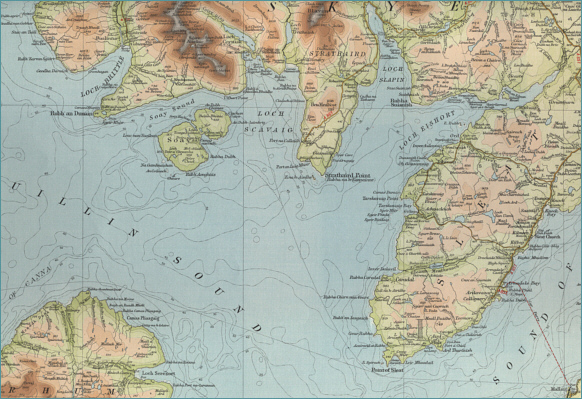 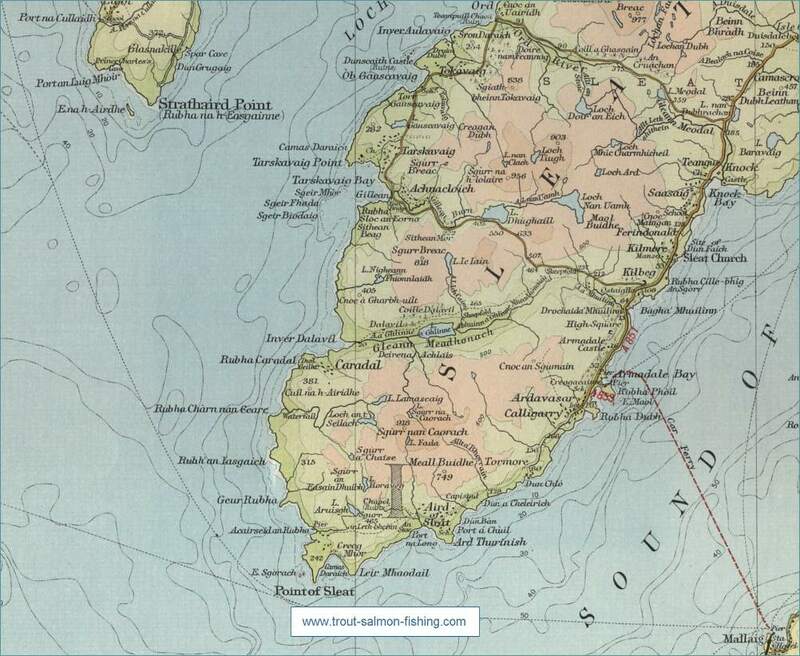 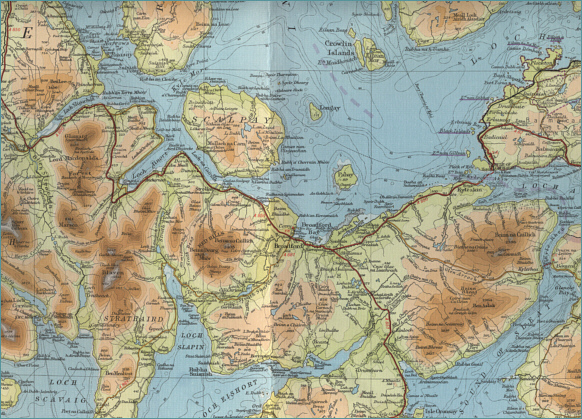 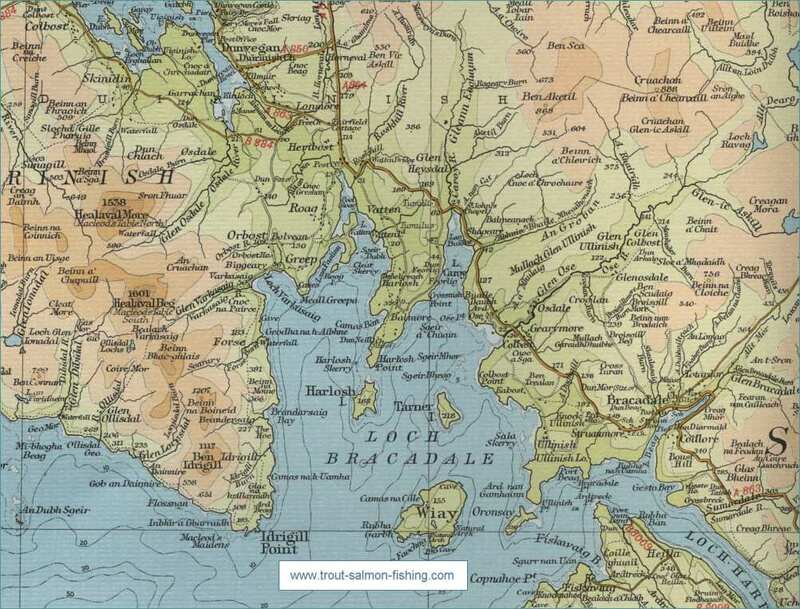 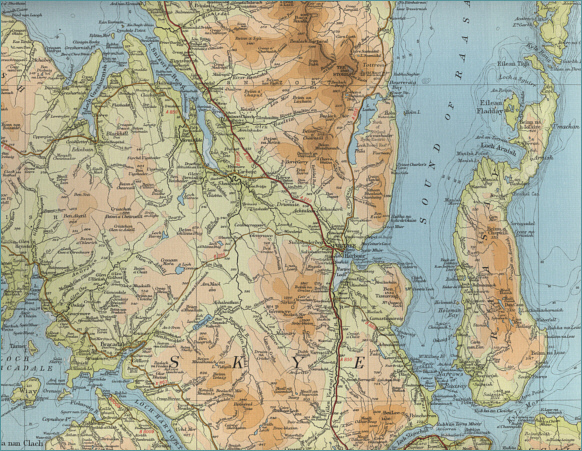 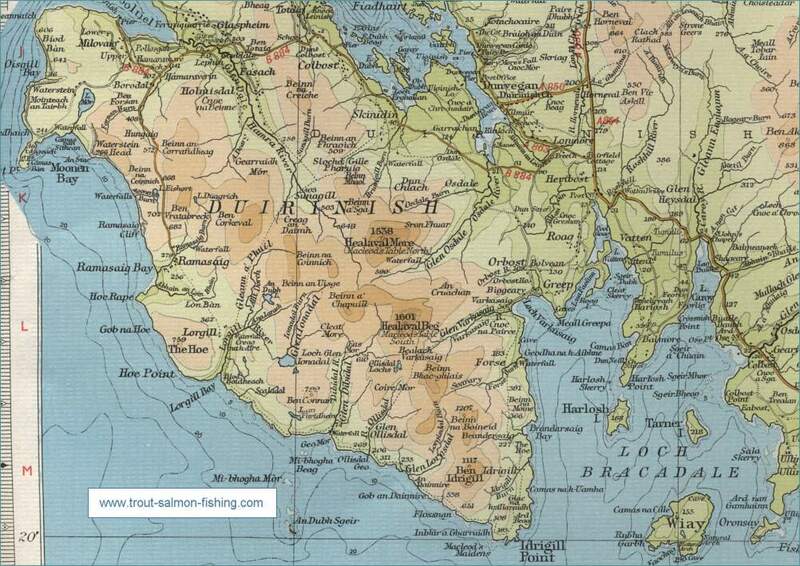 Skye is a large island offering trout fishing opportunities throughout its fifty mile length, some of them managed by the Portree Angling Association. 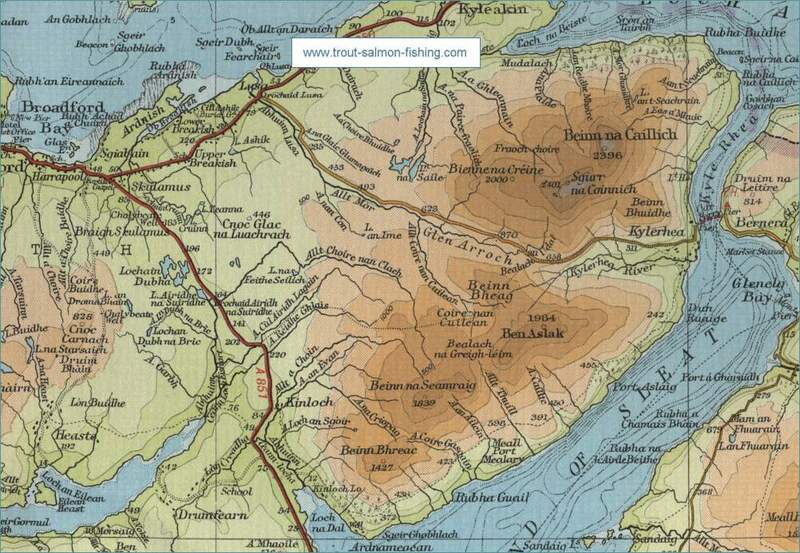 The best of the trout fishing is on the Storr Lochs, Leathan and Fada. 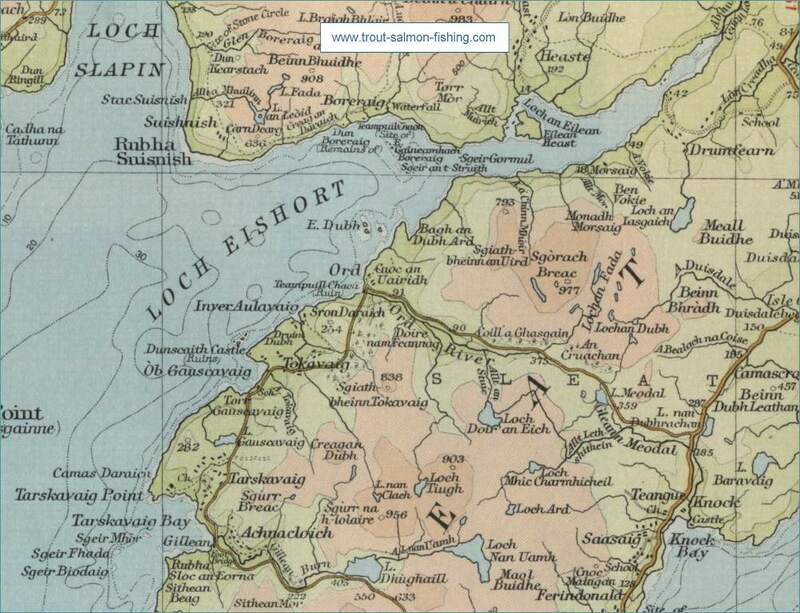 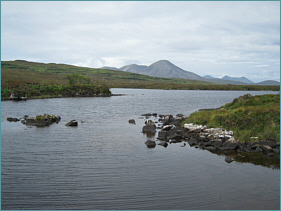 Loch permits are available to visitors at a cost of 8 pounds per day. River fishing for sea trout and salmon is available on association rivers at a cost of £10 per day. 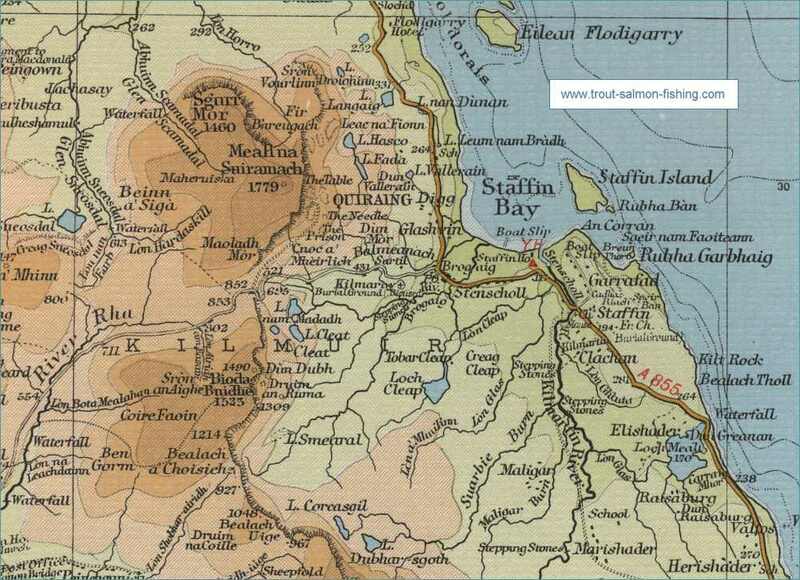 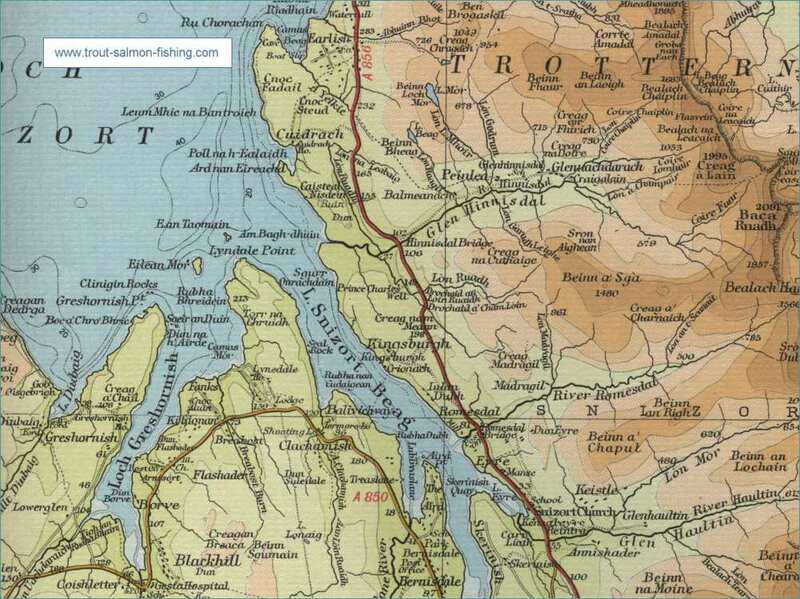 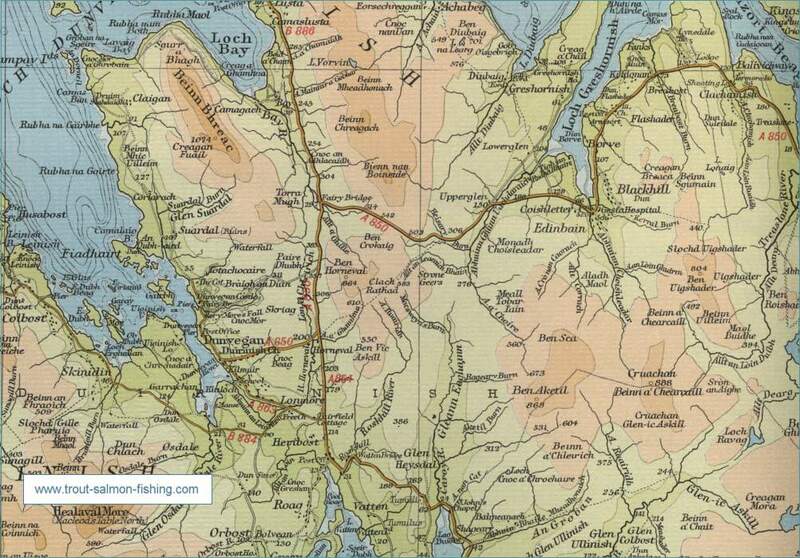 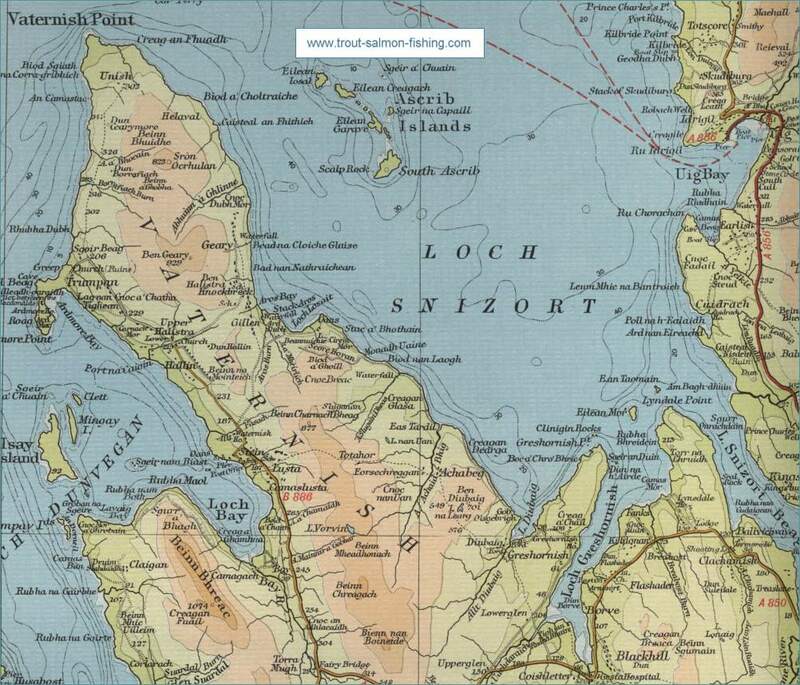 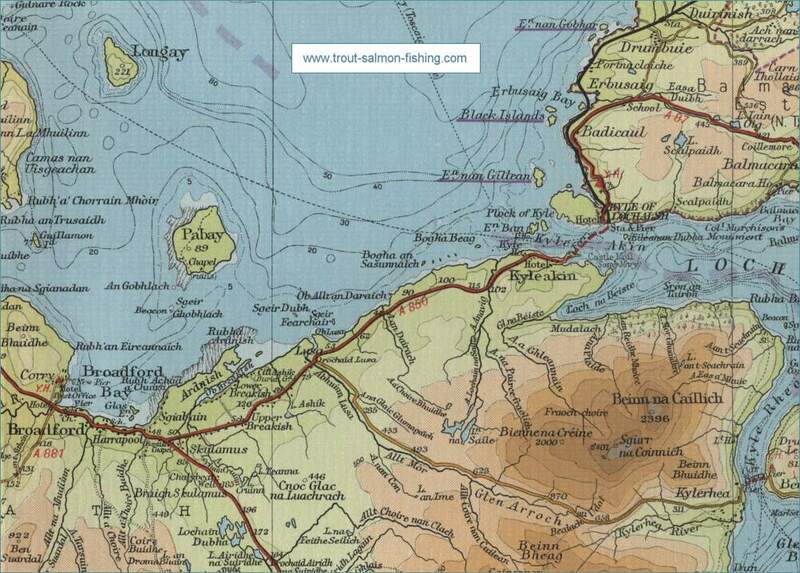 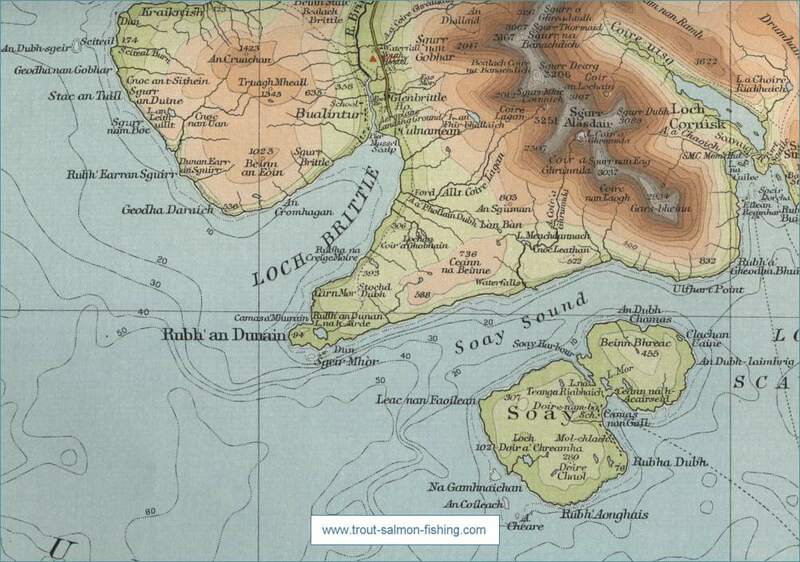 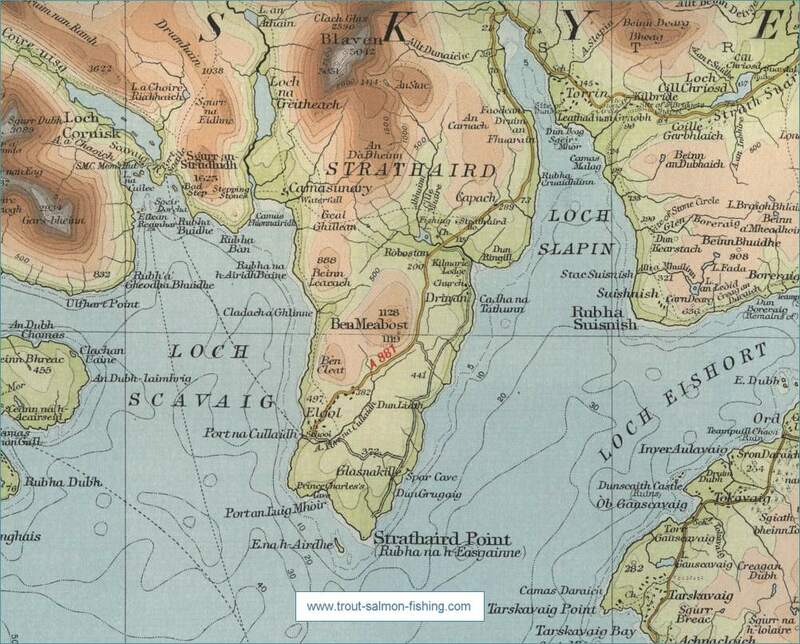 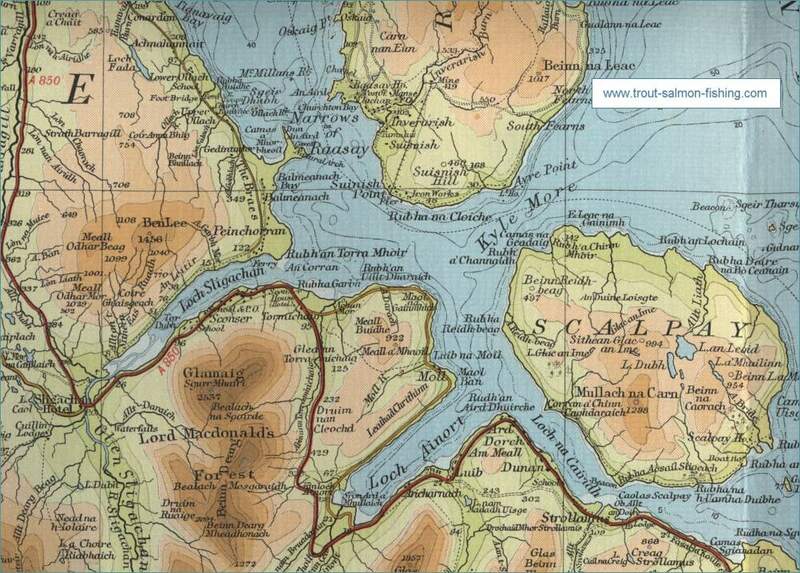 The Portree Angling Association controls all the loch fishing on the East side of the Trotternish Peninsula and also the loch beside the Coastguard Cottages at Duntulm and Loch Sneosdal above Balgowan north of Uig. 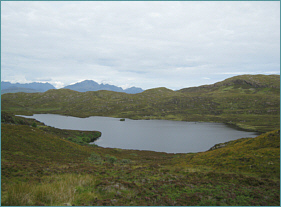 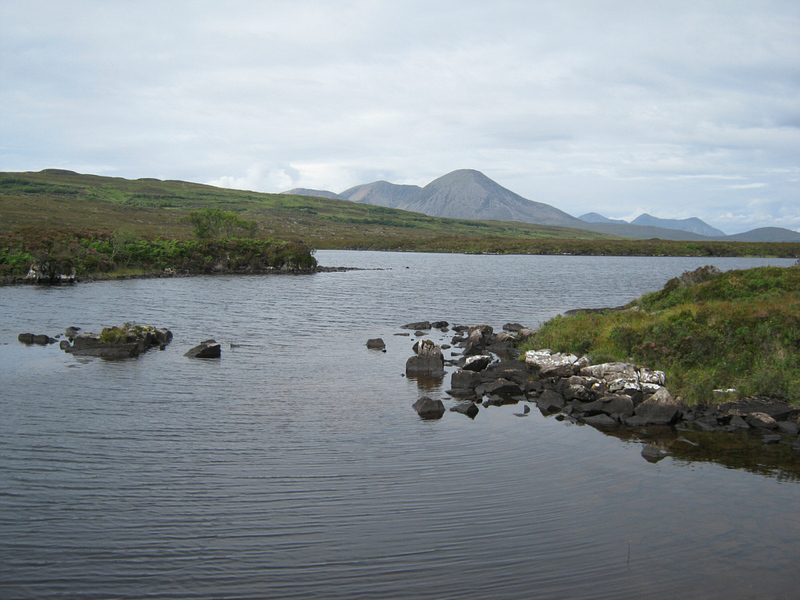 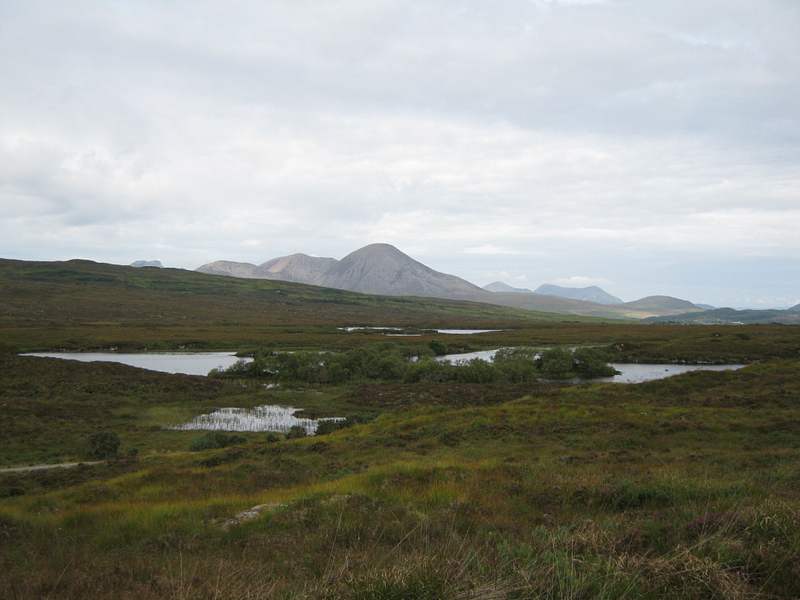 The lochs all contain wild brown trout except Loch Mealt, which contains Arctic Char. 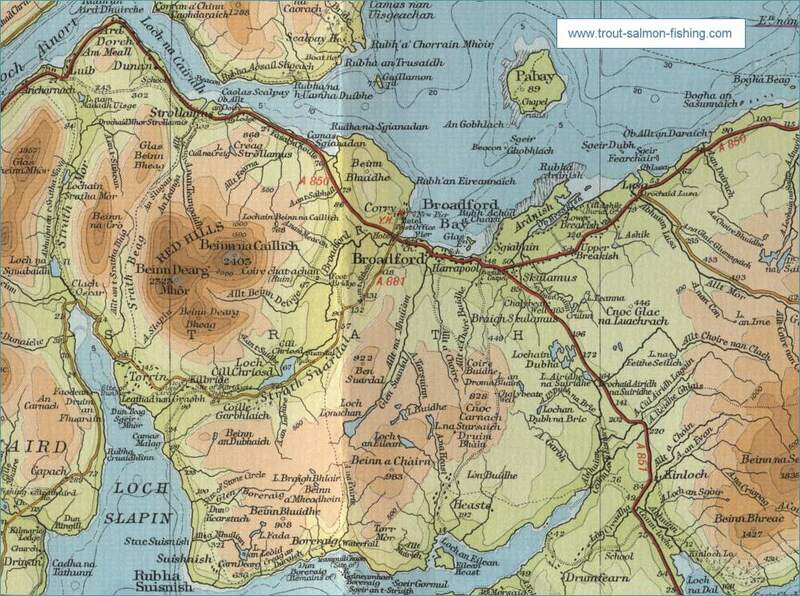 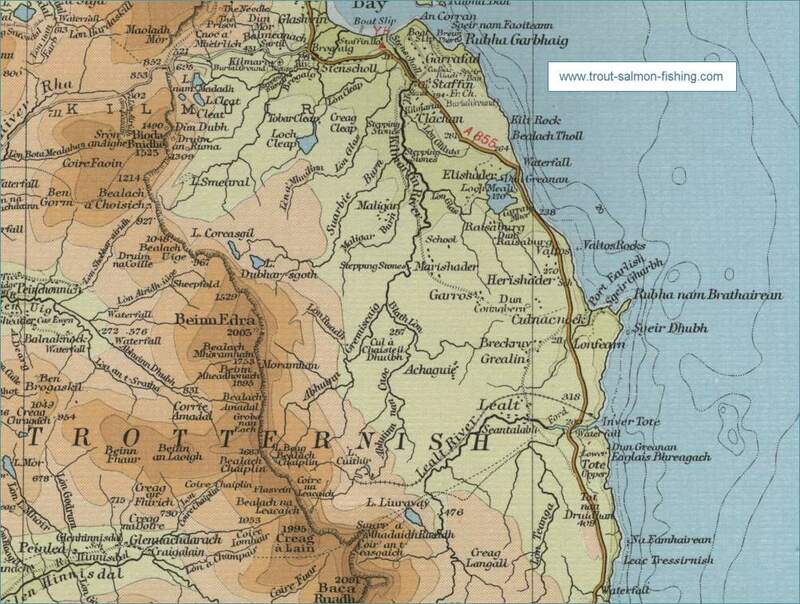 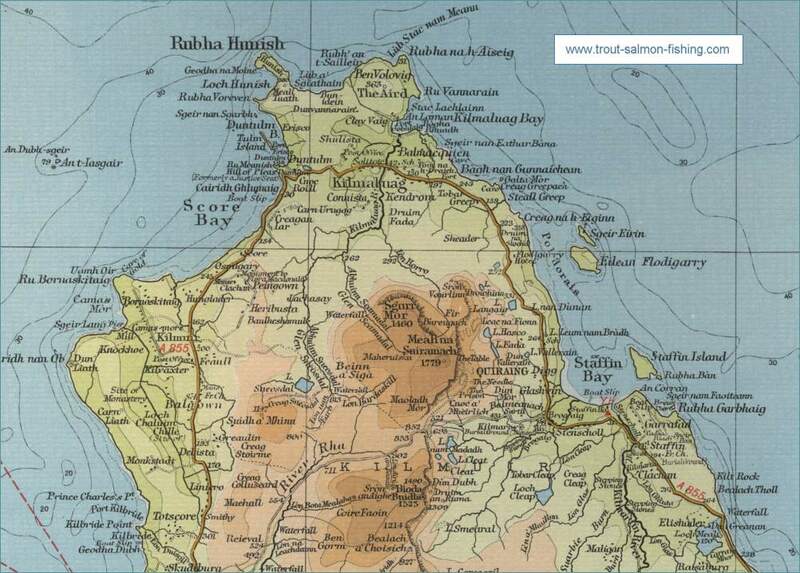 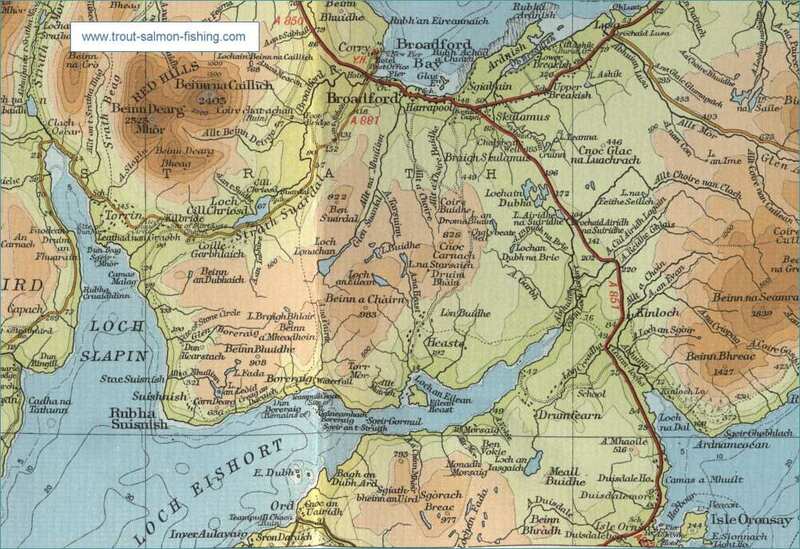 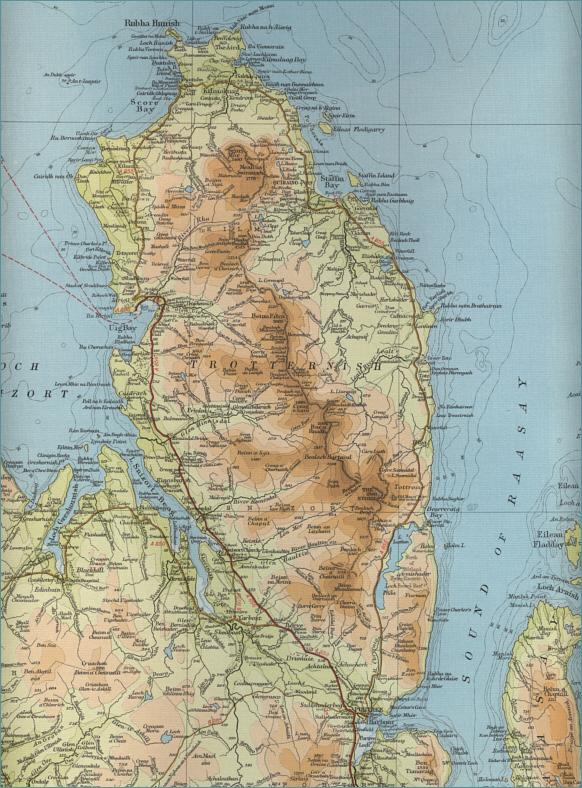 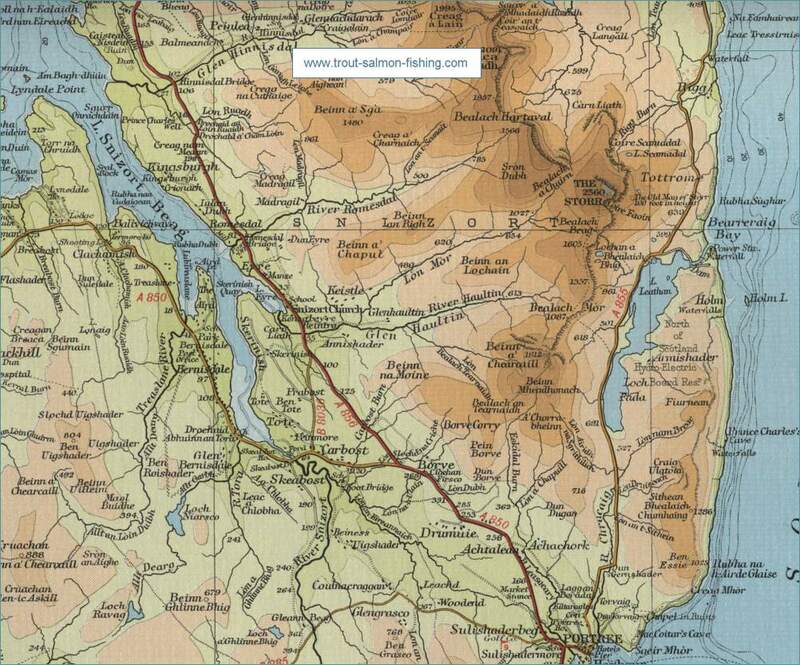 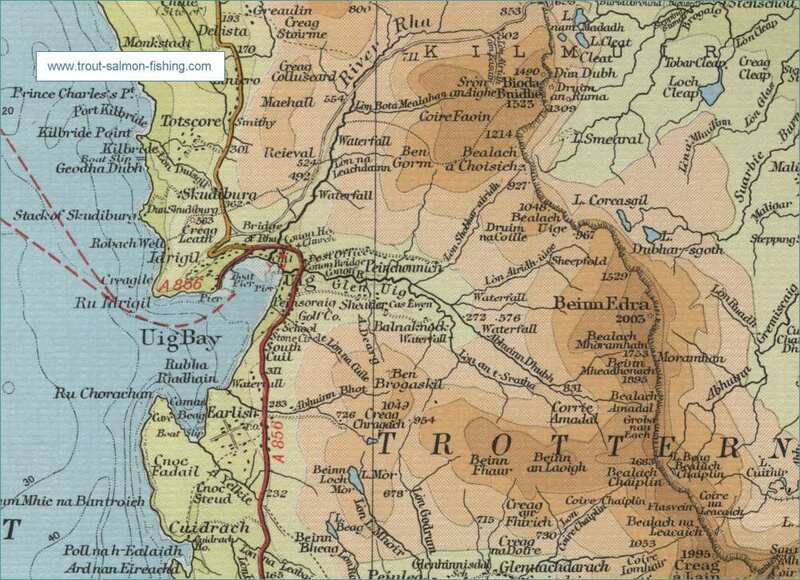 The best of the fishing is in Storr Lochs, Leathan and Fada, which are beside the road from Portree to Staffin, about 5 Miles north of Portree. 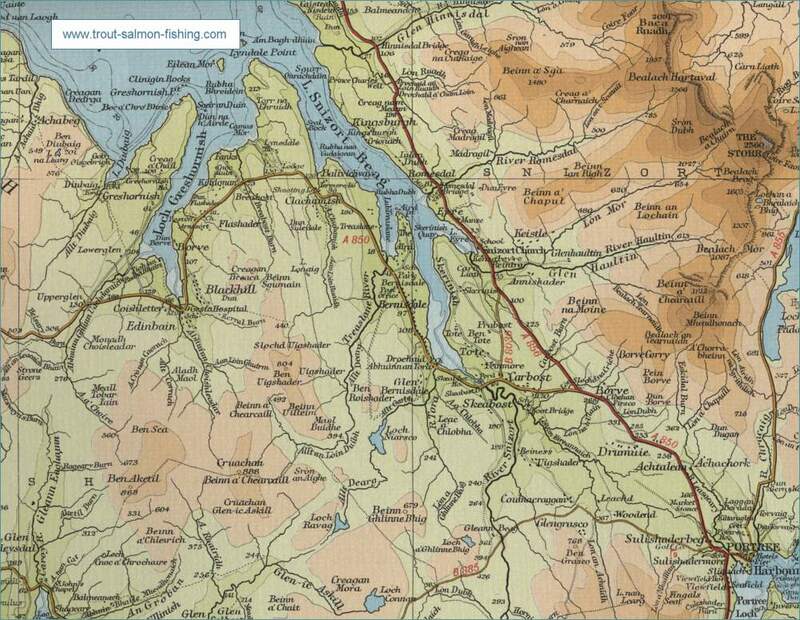 Another loch worth fishing is Loch Cuithir, accessed by a track running beside the River Lealt. 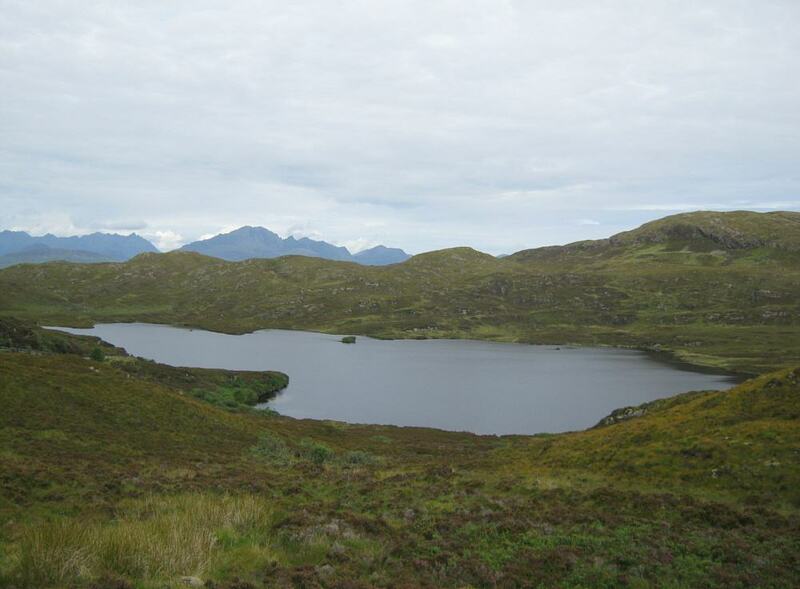 Lochs Langaig and Hasco have a lot of small trout in them with some better fish. 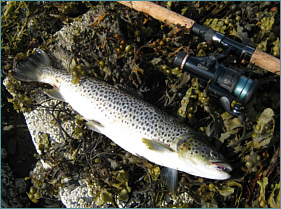 The Association also controls almost all the river fishing in the area, with the exception of the River Snizort and the south bank of the River Lealt. 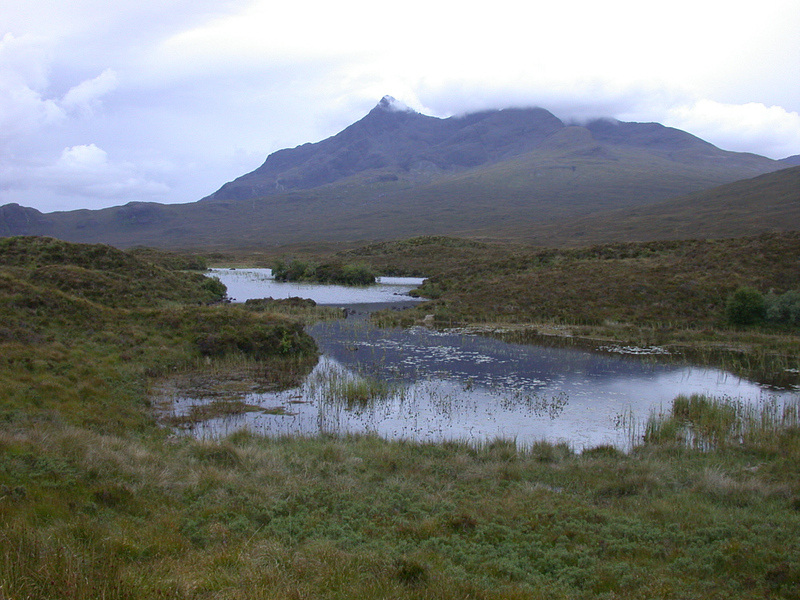 The River Lealt in recent years has been the most productive of the association rivers. 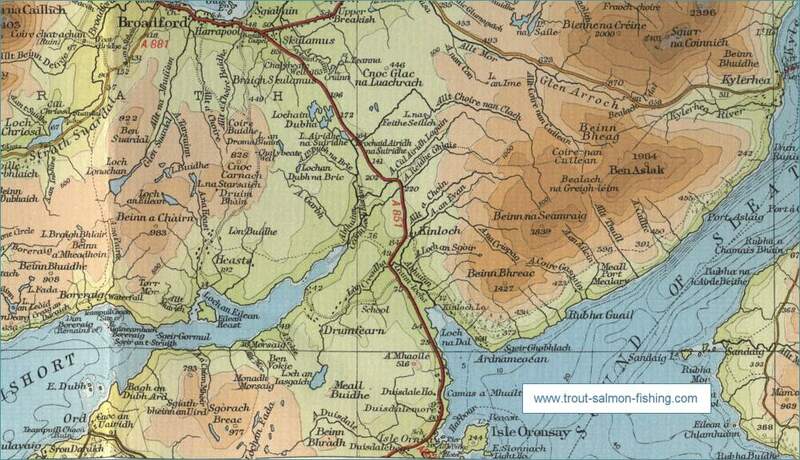 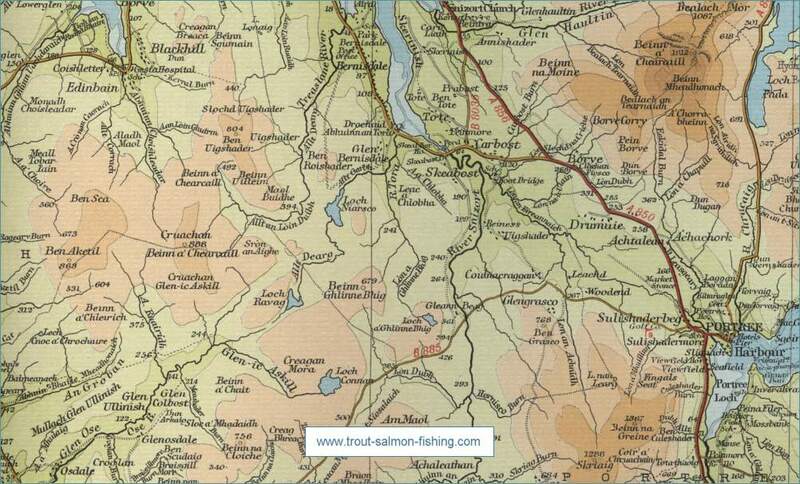 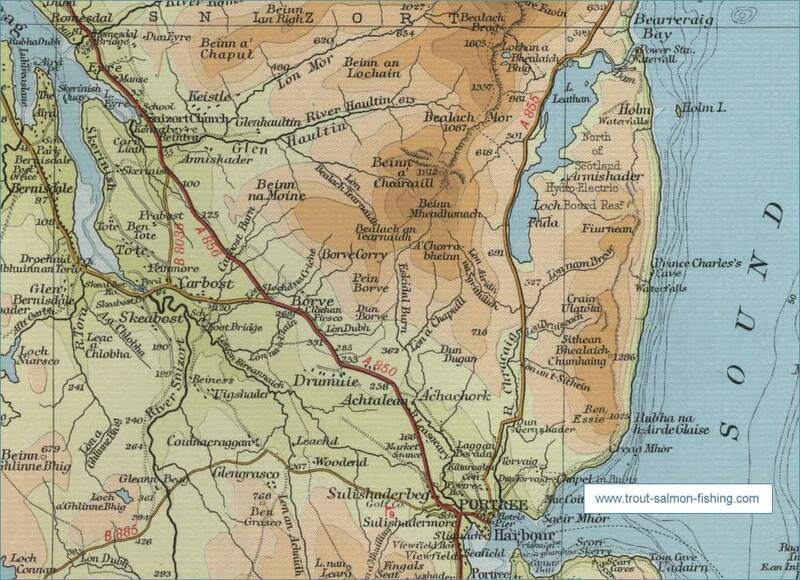 Other rivers under the control of the association include the Kilmartin River, the Brogaig River and the Kilmaluag River, all with runs of sea trout and occasional salmon. 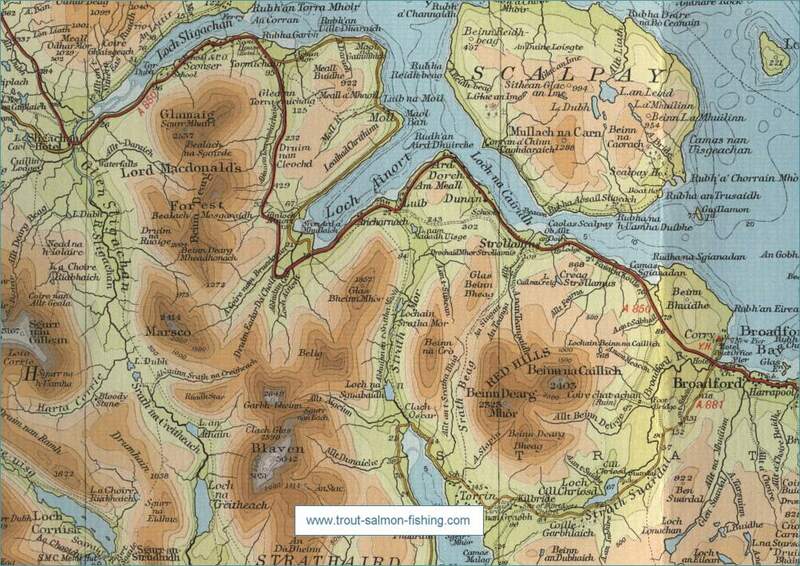 Permits for the last 3 rivers are available from Jansport at a cost of £10 for the day for all three rivers. 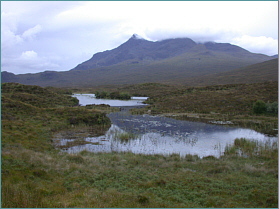 The River Snizort is now managed by Three Esses Ltd., based in Portree. 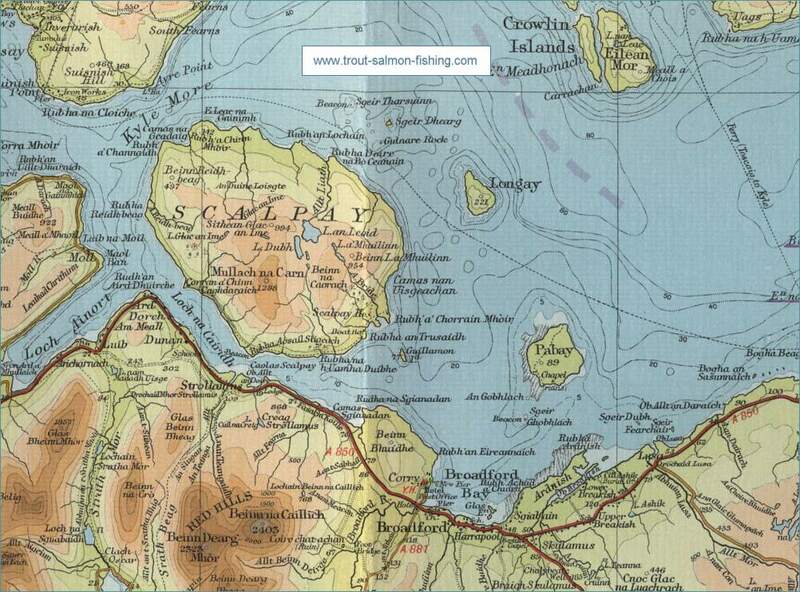 Bank Fishing for all association lochs cost £8.00 per day and boat fishing is from 9 a.m. to 4.30 p.m. at £15.00 and from 5 p.m. to dusk which costs £10.00. 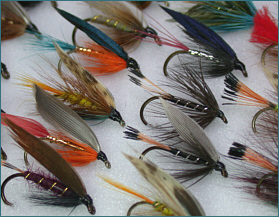 All the lochs are fly only. 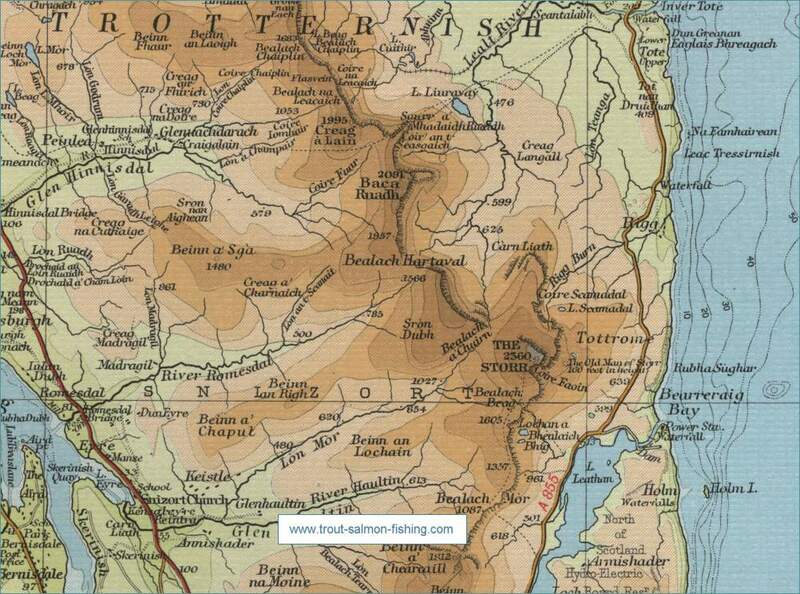 There is a current bag limit on the Srorr Lochs of six fish, which must all be of a minimum of 10 inches in length. 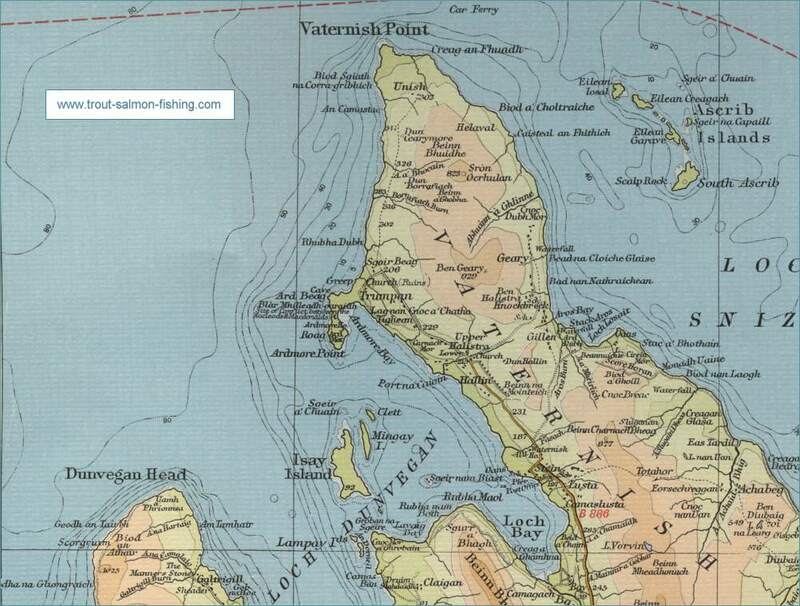 Boat permits cover two rods. 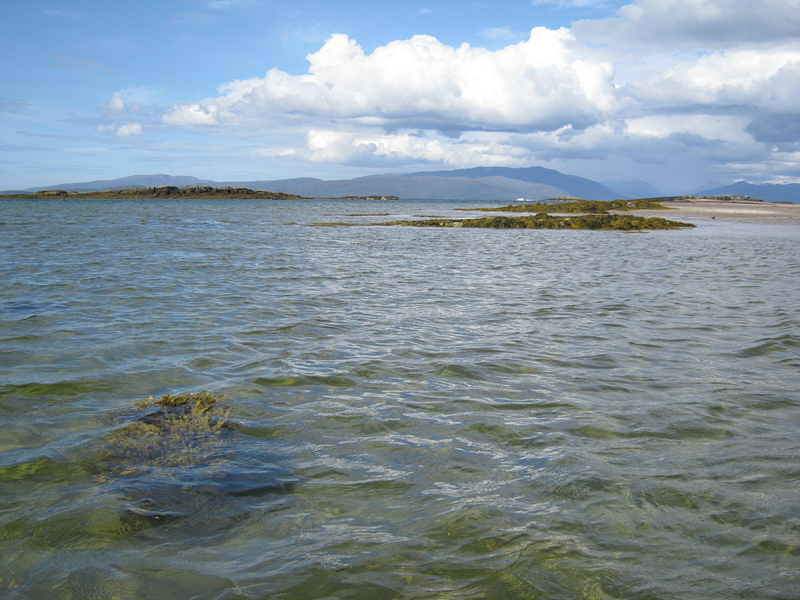 Keys for the boats are issued by and returnable to Jansport. 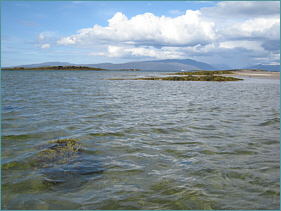 A weekly (6 Days) Bank Permit can be purchased for £35.00. 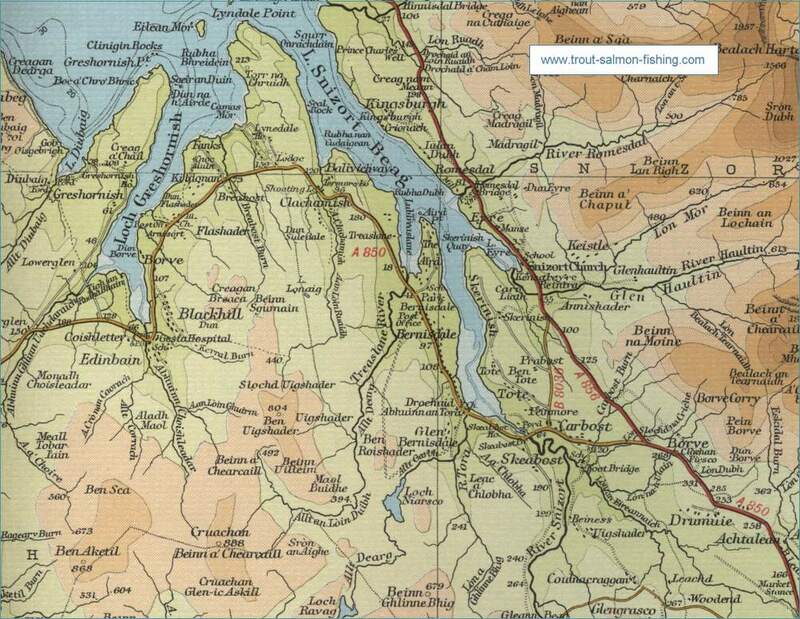 Information and permits from Jansport, Wentworth Street, Portree (tel. 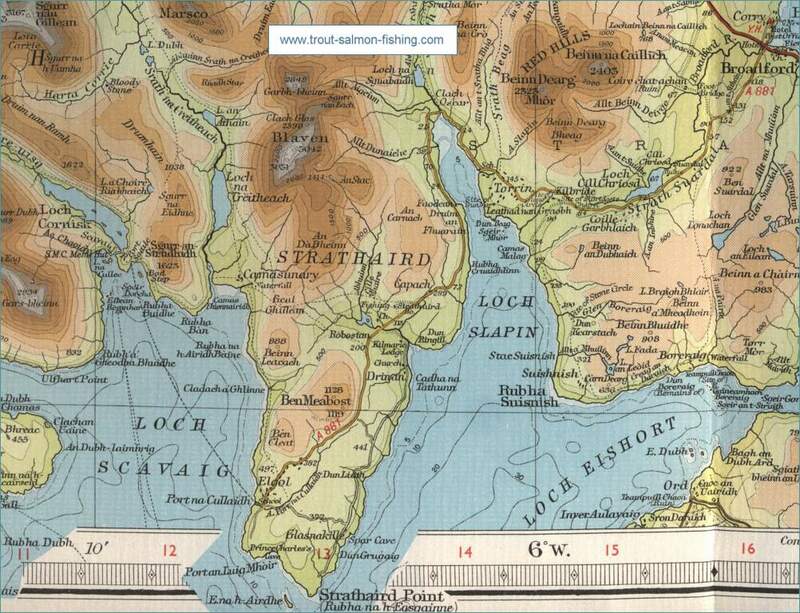 01478 612559). 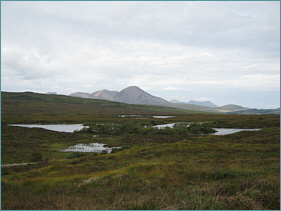 Change views, e.g. 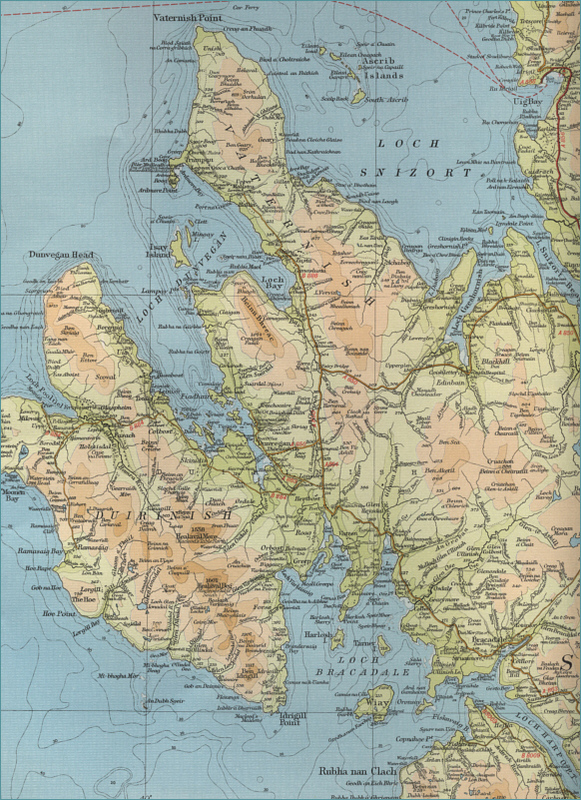 map or satellite photograph, using the buttons at the top. 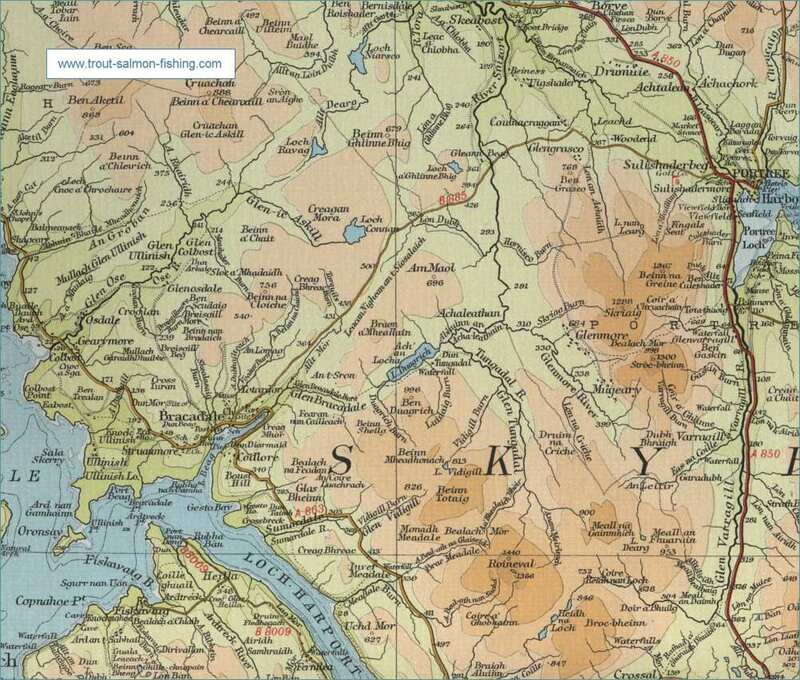 Zoom in or out on map or satellite view using slider on left. 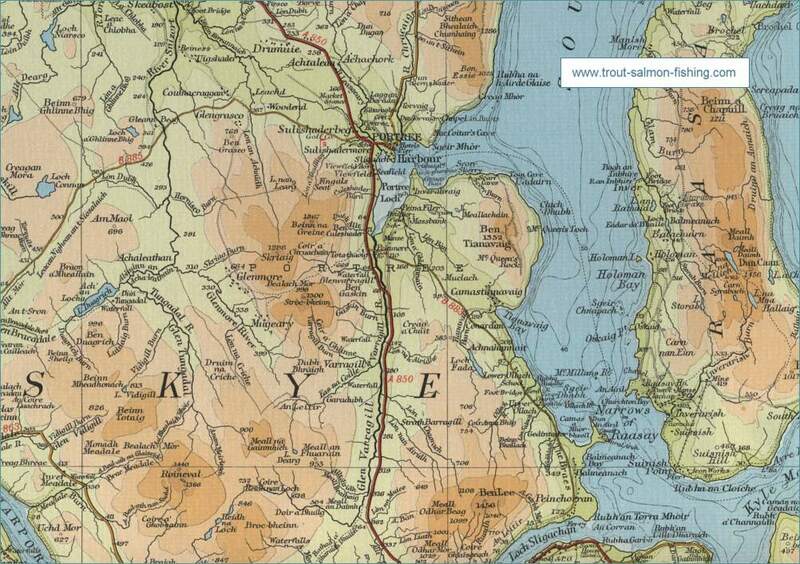 Move to right or left, up or down using the arrows or by clicking and dragging any point on the map. 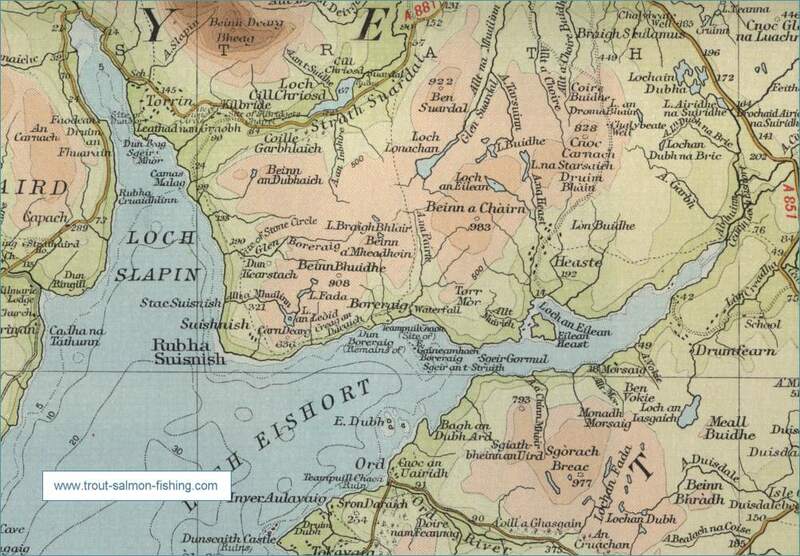 Search for information by typing a word or phrase (e.g. 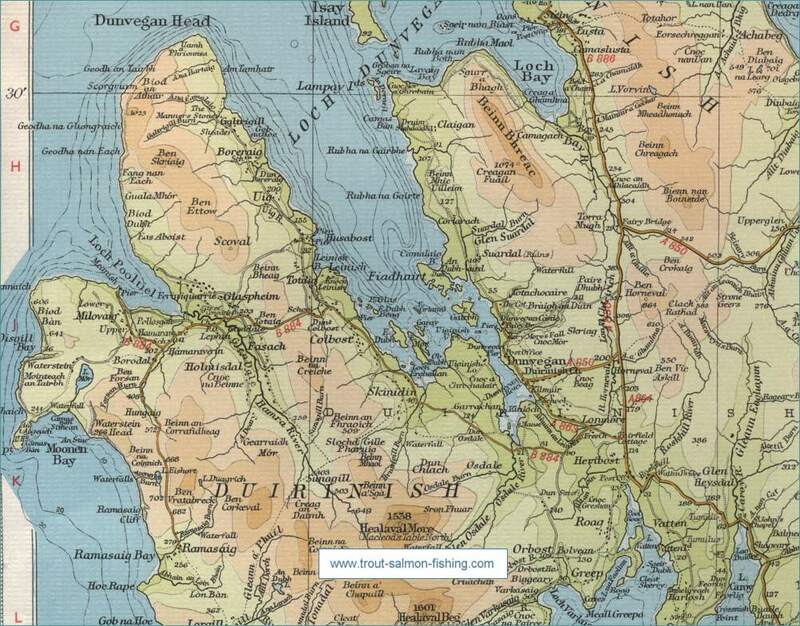 "hotel accommodation") into the search box. 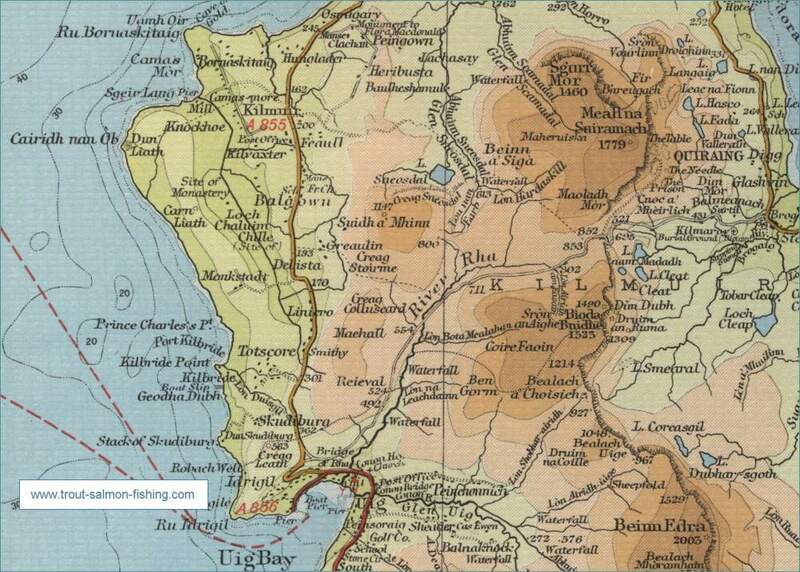 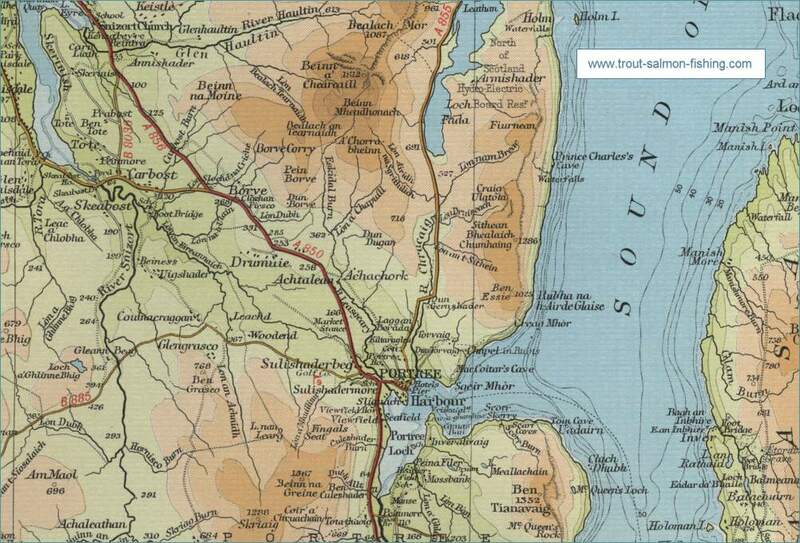 Return to original map location by clicking the centre of the circle top left.